How Our Online Orders Process Works? 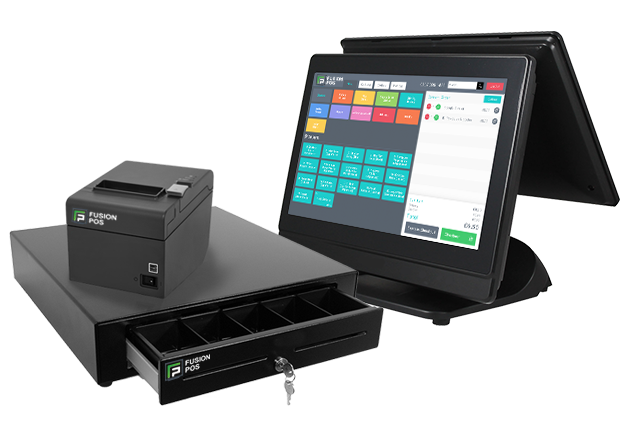 Fusion POS online ordering solutions can either be integrated with Our E POS system or work as a standalone solution. Are you fed up with paying hefty fees through Just Eat and Hungry House, with no control of your customer database? 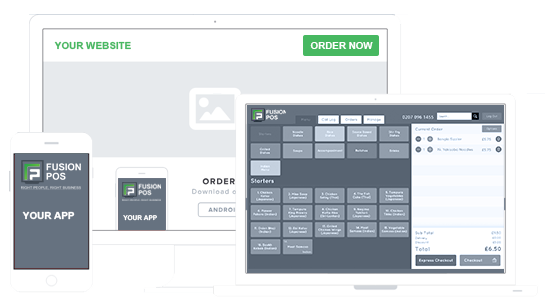 With a Fusion POS online ordering website, your customers can order on the go with a responsive, mobile-friendly website or through your takeaway mobile android and iOS app. No Commission, with Fusion POS online ordering system you pay just one flat weekly fee for your website hosting and backups, regardless of however high your sales volumes are. Isn’t that sounds amazing? Pick a phone now and own your branded Online Ordering Website for you restaurant or takeaway and start making more order and never pay commission to third-party anymore!! How Our FUSION POS System Works? Whether you have an Indian Takeaway or a Chinese Takeaway or Thai Takeaway our E POS is multi language supported. Your Chef needs a better understand. Print your order receipt in your native language!! Make your Customer happy with your using our loyalty systems, Promotional Email/SMS or Coupon codes and much more at unbeatable prices. Of-course never pay commission for your orders!! Checkout what Website user’s says!!
" Very efficient ordering, and gorgeous food 😁 "
" Great!!! Can’t wait for my food !! " " Nice and easy, great to get a little discount :) "
" easy to use "
" takes too much to look for the items that i want "
" I'm hungry right now ask me after I've eaten. " " Best food from a hut "
" Ordering was much easier this time. Very very good.....Thankyou!😊 "
" Best food in Cas "